Where Have I Been? | Kay Rice, M.Ed. I’m here! LOL! Last July I got a phone call from my mother that changed the trajectory of my life, at least for a while. Her health was failing and she asked me to move to Virginia to help care for her. When I asked how long I should plan on staying, her reply was, “Indefinitely, and I need you to get here as fast as you can.” So I packed up my Denver home and drove across the country within the week, thinking I would get a little place of my own near her home. I told myself that I could trade my long a beautiful Colorado hikes for SUP—Stand Up Paddleboarding—which would be a “new thing” for me and would be both fun and keep me in shape. As soon as I arrived I saw that those plans would be on hold for a while. The next 8 months were devoted completely to caring for my mother and doing an over-haul on the interior of her home, where she had smoked for 18 years. After doing some research I realized just how toxic the house was, even with her no longer smoking in it! Change was necessary in order to improve the health of the home and to adapt it to my mother’s new needs, which changed week to week from the time that I arrived until her passing. 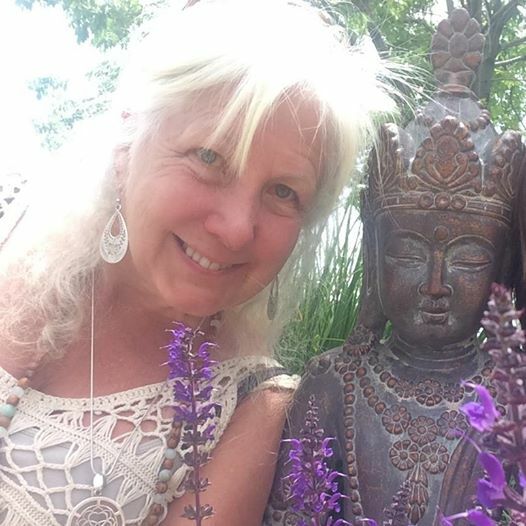 I plan on posting about my experience of being a caregiver (my experience & challenges are certainly not unique—and I was on a steep learning curve with on-the-job training)—the physical, emotional & spiritual effects are real and very well documented. By the time my mother passed away I had used all of my reserves and realized I needed to just STOP, be patient with myself for a while. So I have! More on THAT later – but the ground is ripe for a 90 Day Self-Care challenge to get back to my best physically – while my mother became bed bound, I became house-bound with her and she would tolerate NO NOISE in the house outside of her own TV – so no exercise, little sleep, lots of stress = weight gain! UGH! COMPUTER CHALLENGES – RESOLVED – AND LESSONS LEARNED! I spilled wine on my laptop early on when I arrived in Virginia (Last August) —fortunately I didn’t ruin the hard drive, and only had to replace the keyboard—I unplugged it, removed the battery & I gave it SEVERAL days to dry out before I even attempted to boot it up again. I prayed while I let it dry out that when I booted it up it would still work. It did, but it took a very long time, and the keyboard didn’t work at all. I FRANTICALLY moved all my files to Dropbox in a disorganized MESS to make sure they were saved if my computer wouldn’t boot up again! (Because it’s memory was almost full, and it was taking FOREVER to boot up, anyway). So I’m doing all this while praying, “God Thank you for not letting me lose my files, and PLEASE let me stop learning things the hard way!” (I should have had a back up strategy for my computer files all along, right?) So for a while I used an auxiliary keyboard until the laptop one started shorting out and taking over … making the computer useless. I’m WAY out – so Best Buy is an hour away- when I took it in and the GEEK told me if I brought in a new keyboard they would put it in for me. ARGH! IMHO half the battle was making certain I ordered the RIGHT keyboard … so after the SECOND attempt, I got the right one for my computer, and I installed it myself (with the help of a YouTube Tutorial). By the way, the Geek that helped me set up the NEW laptop laughed at me when I told him my wine story and laughed and said, “Spilling wine on your computer is something that we see a lot! – it is one of the most common things that happen to folks laptops!” LOL – really!? GETTING BACK TO WORK: I had been so focused on taking care of “OPS”—other peoples stuff — that I had neglected my OWN stuff. I finally have a space for an office with my computers, my files and everything all in one place so I can sort through them. So when I got back to work last week, my office, my paper files, my computer & online files were ALL in a state of disorganized chaos … It’s taken a week, but I’ve finally got a handle on it. 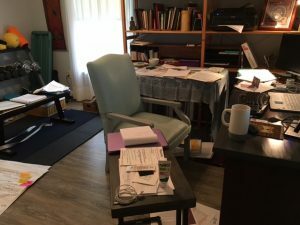 This is what my office looked like last weekend as I was trying to piece together old notes, brainstorming ides, and files. It looked kind of like a bomb went off in here! Actually, the photo does not do justice to the huge mess that was in there! I can’t work like that – so I got busy and sorted things out! 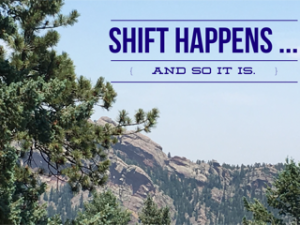 So fast forward: I purchased a new laptop recently, and I was really ready for an update … but my files have been “out there” in the cloud somewhere in disorganized chaos. When I sat down last week to get started, I had to retrieve passwords for EVERYTHING! I couldn’t even remember how to get into my Hosting Account! LOL – Oh My – It took an ENTIRE DAY just to re-organize my LassPass Vault and figure out how to sign into my own websites, email accounts, hosting, Aweber … etc. (EYE ROLL! HOW, did I let MY OWN STUFF get this disorganized??? I mean I’ve been organizing OTHER PEOPLE’s STUFF for years, and generally I’m so good at it, but apparently MY HEAD HAD BEEN STUCK IN THE SAND FOR A WHILE when it came to MY OWN STUFF!) Anyway, after spending an entire day on Lass Pass (while putting up a couple of new blog posts 😉 ) I moved on to paper files, files stored in the cloud from the old computer, etc. It’s better now! MY S-L-O-W INTERNET CONNECTION … Did I mention that I’m “way out” in the country on a tip of a peninsula here in Coastal Virginia? In ways that is such a blessing! But it is an hour from Target, Best Buy, Whole Foods, Trader Joe’s, etc., etc. (So truly AMAZON PRIME has become my best friend – which I see is GREAT for affiliate marketing!) … and being “way out” Internet connections are not really the best or the fastest. I was SO EXCITED when Verizon came out with their “UNLIMITED DATA” package … and I got off the old, very slow, had to re-connect every 48 hours DSL. I got a Hotspot that worked like a champ the first month … but then something changed. I get 10 MB on the 4G network, and then they downgrade the hotspot to 3G (and sometiimes slower) for the remainder of my billing cycle.makes This makes streaming video impossible, loading websites is often V-E-R-Y Slow and I often have to load a page more than once before it loads correctly. “Go to Starbucks and use their wi-fi!” said my son. The nearest Starbucks is 17 miles away. I HAVE started taking my “devices” to the library for updates, downloads and sometimes that really helps, and other times their network is a little slow, too. This is just something I have to deal with … but it hasn’t helped with productivity. Anyway, I’m looking forward to getting some technical issues worked out now that I’ve gotten my office, my passwords and my files reasonably organized! Then I’ll be able to focus on content here! All my best to you all! See you again soon! !